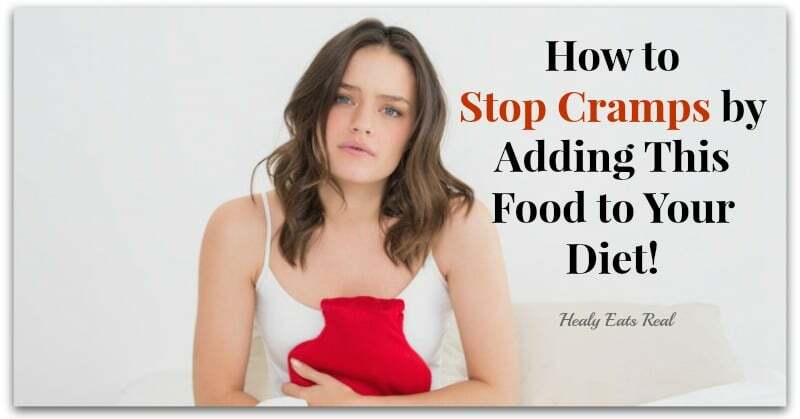 Home » Articles » How to Stop Cramps by Adding This Food to Your Diet! I have to say, I’m so excited to tell you about how to stop cramps by including this one food in your diet! Ever since I can remember, I’ve had pretty severe cramps and the fact that I’ve experienced relief because of this food makes me so happy! Over the past couple years I’ve tried a lot of stuff to stop my cramps and nothing really worked. I didn’t want to have to take ibuprofen every month because it can be very hard on your liver and gut, but I just couldn’t avoid it, the pain was too much and if I didn’t take ibuprofen, I would be suffering. ♦ Rich Chocolate Fudge … ♦ Watermelon Slushie… ♦ Chocolate Nut Butter Cups… ♦ Cookie Dough Balls …AND MORE! There are a lot of other things that contribute to PMS like a poor diet or foods containing phytoestrogen like soy, but I feel like I had done everything including fixing my diet and lifestyle and STILL had cramps. Keep reading to find out which food really helped me stop cramps! Menstrual Cramps Are A Sign of Hormonal Imbalance–You’re not supposed to have them! I learned this valuable information from the book Quit PMS, which I highly recommend! It has so much great information on what causes painful cramps and how to stop cramps naturally. Maca is a root vegetable native to South America. It is what’s known as an adaptogenic substance that is known for it’s ability to balance hormones naturally and even boost libido. It’s even referred to as “Natural Viagra”. I won’t get too personal with this post, but let’s just say that I definitely noticed the “increased libido” aspect of it as well as the hormonal balancing part. When buying maca make sure you get raw or at least low-temperature processed so that the beneficial properties are intact. If you get maca that has been heat treated it may not have the same effectiveness. 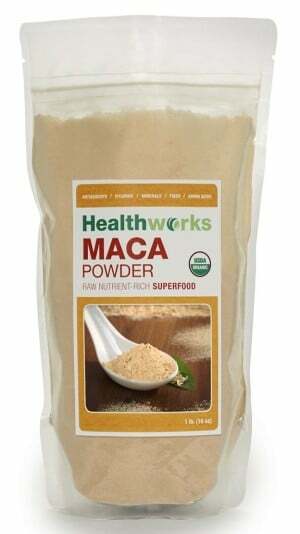 I like to use this powdered form of maca that is raw and organic. My favorite way of incorporating maca into my diet is by putting it in smoothies. I usually have a smoothie every other day for breakfast, so I include about 1/2- 1 tsp of maca in my smoothie every other day. You can also get creative and make recipes with maca. You can add it to baked goods or make things like chocolate maca truffles. If you don’t like the flavor or are out of ideas for adding maca to your food, you can also try taking maca supplements like these. Even though maca was a godsend for me, our bodies all respond differently to natural treatments, so it is possible that maca may not have the same effect for you. There could be a number of other factors that are contributing to your PMS like poor diet, lack of exercise, hormonal imbalance, elevated stress levels or toxic overload. This article from thank your body or this one from our small hours is also helpful when trying to figure out the source of your cramps. One of my favorite things about Quit PMS is that it lists “bad period foods” and helps you eliminate foods like vegetable oils, soy, nuts (for some people) and other foods that contribute to PMS. 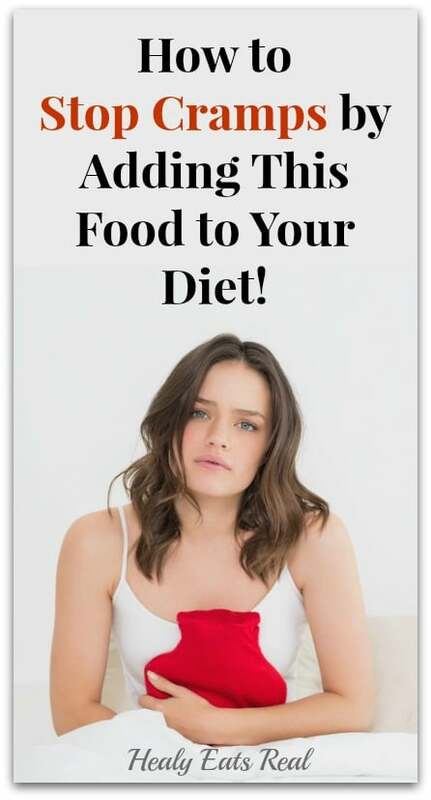 It also contains information on “good period foods” like fermented foods and healthy fats like coconut oil that help combat cramps. 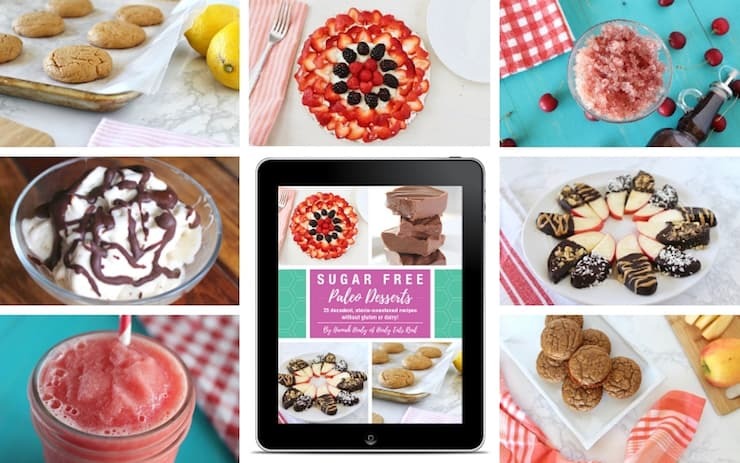 There are 35 recipes included in Quit PMS that support healthy hormone function and help eliminate PMS. If you want to learn how to naturally balance your hormones, learn about the right foods for your period and stop PMS symptoms once a for all, get Quit PMS! Healy Eats Real readers get a special discount coupon for Quit PMS! 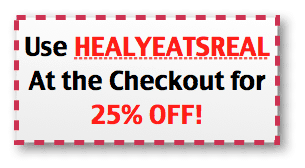 Use HEALYEATSREAL at the checkout for 25% OFF! You’ll also get a FREE BONUS ebook “Superfoods to Avoid”! Did you like this post? Give it a +1 below! Is Canola Oil Healthy? You May Be Surprised at the Answer! Really? We’re not supposed to have cramps at all? Not to mention debilitating ones…jeez. Thank you so much for this tip. I even have maca, but don’t often eat it. I’ll be starting. Thanks Hannah! Question? Can I give this to my 11 year old granddaughter? Is it safe for her to take? I’m not sure. I would not give it to an 11 year old until you’ve verified that it’s safe. It can be very strong. Thank you for getting back with me! I get acupuncture on the first day of my period and it’s like a miracle. I have no cramps for the entire rest of the period. If there weren’t maintenance things to take care of, I wouldn’t even notice I was having one. My acupuncturist is amazing. I have had severe cramps footer years and nothing helps them, not even the heavy duty narcotics, especially after giving birth to my daughter, they got even worse. I highly recommend acupuncture as an alternative to medications. Thanks for the tip Chelsea! I’ve had acupuncture for other things, but never for cramps…it’s a great idea!